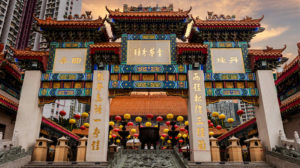 The Hong Kong International Film Festival (HKIFF) is one of Asia’s oldest and most reputable platforms for filmmakers, film professionals and filmgoers from all over the world to launch new work and experience outstanding films. Screening 230 titles from around the world at major cultural venues across the territory, the Festival is Hong Kong’s largest cultural event. Committed to discovering new talent, the Festival premieres the breadth of Chinese cinema and showcases Asian talents. Festival-goers have the opportunity to enjoy world-class films, attend seminars hosted by leading filmmakers from around the world, visit film exhibitions, participate in receptions and parties, and more. This years Festival opens with the film Bodies at Rest and closes with By the Grace of God.